Kettle keep it simply brilliantly with their designs. Large but not dominant logo, muted backdrop, a centrally positioned flavour of Chips representative. 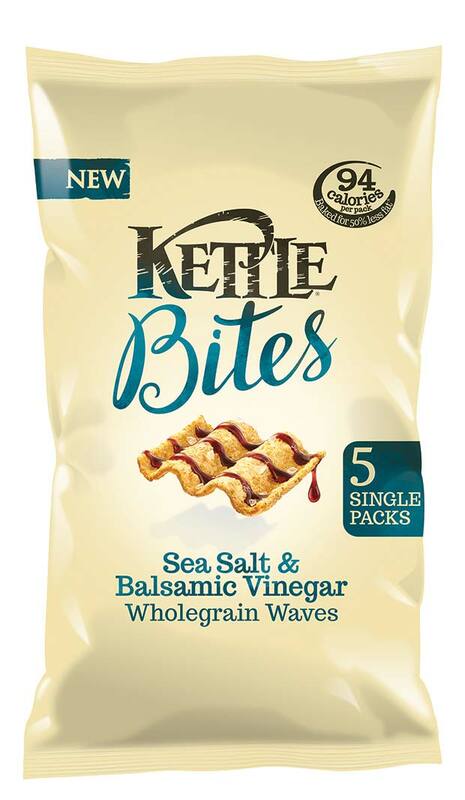 However, the packet background for Kettle Bites is a kind of wishy washy yellowy flesh coloured thing, which is frankly, not very nice.